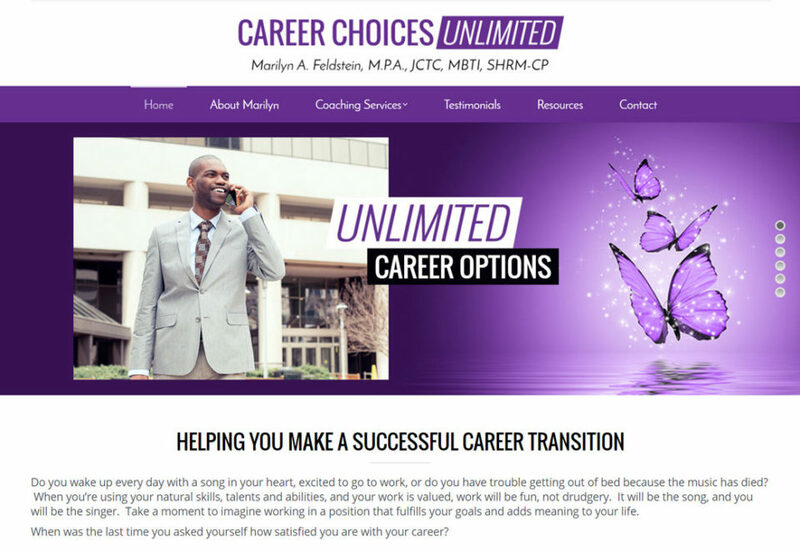 Marilyn Feldstein, founder of Career Choices Unlimited, came to Siskey Productions in need of a refreshed website. Her industry expertise and professionalism is truly unparalleled, but her website (circa 2008) was not reflective of the quality of service she was providing to her clients. It was confusing and she was unable to make changes herself, display her published articles or announce speaking engagements. 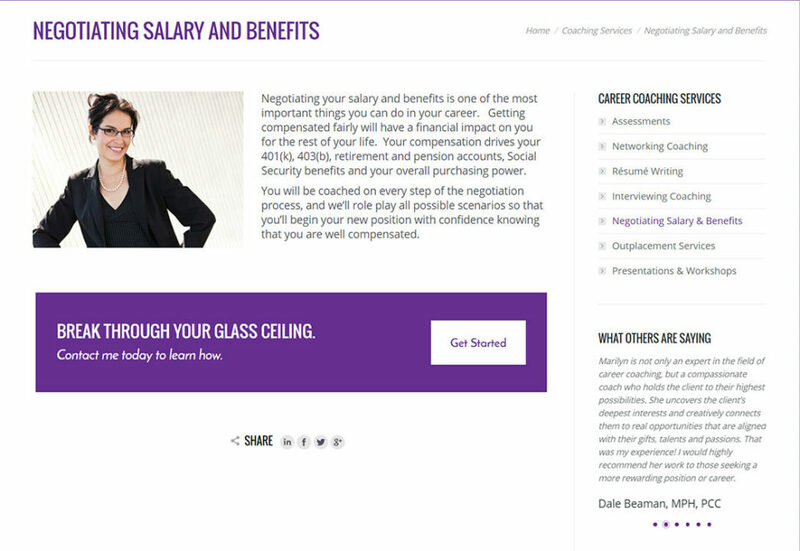 After reviewing her website options, we recommended a full rebuild and redesign. She agreed. Over the course of our collaboration we’ve redesigned Marilyn’s logo, redesigned her website, provided new business cards and graphic assets, as well as partnered in filming a number of Marilyn’s speaking events.